If you are interested in reproducing one of our artworks you first need to determine whether you require a non-commercial use (personal use) or commercial use license. You can now download many images of our artworks from our website, for personal (non-commercial) use free of charge. We offer two non-commercial use licenses which are described in the below table. 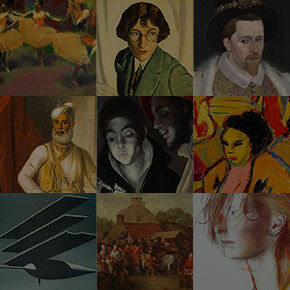 On artwork record pages, images of artworks are available at a resolution of 600 pixels width. You can download a version of this image from the record page by right-clicking the image and selecting Save As. The image saved contains a banner at the bottom of the artwork information and its copyright holder. Images of works where copyright has expired or where a copyright holder has agreed to release the image are available for you to use under the terms of the CC-BY-NC 3.0 License. These images will include the text "Creative Commons - CC by NC" at the bottom of their banner. There are, of course, the statutory exceptions to copyright that may also apply in certain situations. It is the user’s responsibility to satisfy themselves that an exception (such as fair dealing criticism and review, quotation, or reporting a current event) applies. 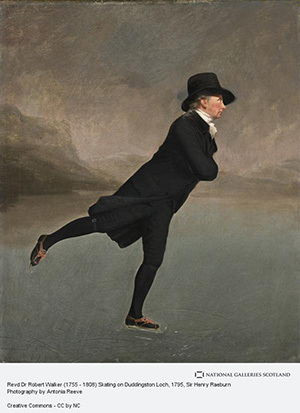 Where possible users should credit the image with artist name, title of work, National Galleries of Scotland, and link back to the artwork page on this website. If the above licenses do not cover your non-commercial use requirements or if you require a commercial license, please use the webform below to tell us your requirements. The National Galleries of Scotland define commercial use as where use of the content will work towards a commercial advantage or monetary gain – making a profit or covering costs. Under charity law, conflicts can arise when one charity is seen as assisting another. Therefore National Galleries of Scotland needs to treat other charities (and their trading arms) as if they were “commercial” organisations. Please fill in the below form to apply for commercial use of our images as well as non-commercial use not covered by our personal use license agreement. If your request contains mulitple uses please add these uses to the comments field in order for a quote for image use to be made. If "Other please tell us the duration of the license you require (for web use, e-book, or television), the size required (for print or display panels), the number of copies (for postcards, greeting cards, printed book and/or e-book, magazines and leaflets) and/or the intended use (ie front or back covers for calendars or greetings cards). National Galleries of Scotland Collection image reproduction.